Assuming that a critical mass of viewers of the 2018 Winter Olympics had only a passing knowledge of the sports and how they’re judged, the super giant slalom – or “super-G” – may have surprised many with the literally split-second timing by which victory or defeat was determined. But did you know that the same holds true for the speed of your website? A too-slow site can cost you business in ways both overt (frustrated would-be customers giving up and visiting a competitor’s website) and subtle (negative indexation by Google – speaking of “super-G”). 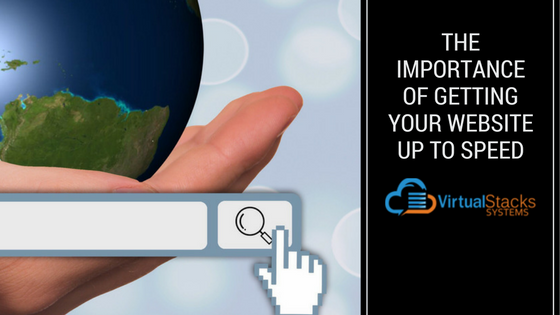 Here is what to keep front-of-mind when determining whether your website (which should be optimized for mobile – more about that later) has the speed it needs to give your enterprise the competitive edge. Speed is Important to Everyone – Even if your business doesn’t involve ecommerce, your website still exists to drive sales. Consumers looking for a pest control service expect fast-loading pages as much as those shopping for shoes. Pages with a longer load time have higher bounce rates (the percentage of visitors who leave the site after viewing only one page), as well as a lower average time spent on the page. Need we mention that visitors using a mobile device have even greater expectations of instantaneous results? Also, Google has indicated that site speed is one of the signals its algorithm uses to rank pages. For those with just a passing acquaintance of tech-speak, site speed refers to the page speed for a sample of page views on a website. It is different from page speed – also known as page load time (the time it takes to fully display the content of a page) – or time to first byte (how long it takes a browser to receive the first byte of information from the web server). Why is this important? Because Google may be measuring time to first byte when it considers page speed – and, in turn, your website’s page rankings. 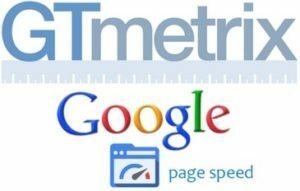 To test the speed of your website and diagnose errors that are slowing it down, try GT Metrix, and Google’s PageSpeed Insights, we use them here at Virtual Stacks and they are trusted in our industry as go-to sources for accurate page speed testing. Speed Improves the User Experience – Back to the world of real-life consumers, website speed is vital to providing a good user experience – just as important as user-friendliness and site reliability. To owners of ecommerce websites, speed continues to increase as a factor in conversion rates. All of the most advanced conversion rate optimization (CRO) analytics won’t help your business if the website loads too slowly. So what’s considered “slow” by the standards of online visitors? Returning to our opening super-G analogy, the average visitor will only tolerate a load time of up to two seconds. Google’s engineers have found that potential customers will visit a site less often if it’s slower than that of a close competitor’s by more than 250 milliseconds. Yes, you read that right – milliseconds. Among their other discoveries: even 400 milliseconds – literally the blink of an eye – is too long for website visitors to wait for a page to load. Speed Moves Mobile Forward – Website visitors expect the same type of experience on their mobile device as they do on their computer. Yet according to Google, a web page can take nine seconds to load on a mobile phone. Even utilizing responsive web design – which automatically adjusts the display of the website according to the type of device accessing it – doesn’t guarantee faster load times. Google appears to recognize the emergence of mobile as the predominate means of accessing the web as it continues to roll out its mobile-first indexing, using mobile content for all search rankings. Although called an “experiment,” it’s actually the first move in Google’s planned shift to looking primarily at mobile content, rather than desktop, when deciding how to rank results. Search Engine Land recently reported that Google will move more sites to the mobile-first index in the coming weeks. The Take-home Message – An ecommerce website that provides a user-friendly experience – beginning with a fast load time – is better positioned to sustain a competitive advantage. From making customers happy to improving search engine rankings, website speed is now an even greater priority than ever. To be sure your organization is up-to-speed, our web development team at Virtual Stacks Systems can create a website/ecommerce site that will help your organization achieve its goals. Contact us today to learn more.